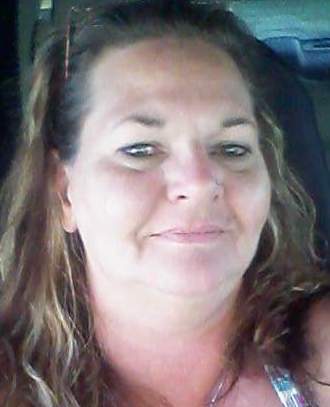 Palmyra - Esther Lee Bolt, 49, entered eternal rest on Wednesday, July 11, 2018, at Rochester General Hospital. At Esther's request, there will be no prior calling hours. A memorial service will be held at a time and place to be determined. In memory of Esther, in lieu of flowers, please consider donations to a charity of your choosing. Esther was born the daughter of the late Harold (Jake) Bolt and Madeline Nicholson on Saturday, May 31, 1969, in Canandaigua, New York. She graduated from Red Jacket High School. Esther was a homemaker a enjoyed raising her daughter. She adored her family and was always looking forward to spending time with them. Esther will be remembered by her fiance, Steve Myers of Palmyra, NY; one daughter, Shannon Cuffle of Terre Haute, Indiana; two grandchildren, Daunte and Elyzabeth Cuffle of Terre Haute, Indiana; two non-biological grandchildren, Mya Loyd of Mount Carmel, Illinois, and Trinity Ashba of Sullivan, Indiana; brother, Richard Bolt of Sullivan, Indiana; sisters, Star Hayes of Sullivan, Indiana, and Cheryl Martin of Richfield Springs, New York. Esther was predeceased by her sister, Edith (Eddie) Bolt.